IRS Enrolled Agents allows us to provide a complete tax and accounting solution to businesses and business owners. Troy Barnett – CPA, President and Owner Troy earned a Bachelor’s Degree in Accounting from the University of Southern California in 1994 and a Master’s Degree in Business Taxation from the same institution in 2000. Joining the staff of Deloitte and Touche LLP in 1995, he was promoted from Audit Associate to Senior Manager over a ten year period. His primary functions included researching specific tax issues, verifying compliance and seeking tax and accounting consulting opportunities with domestic and multinational firms. In 2004, he left Deloitte to open Barnett & Company, Inc., Certified Public Accountants where he continues to serve as principal. He has since then acquired ownership of Dudley & Dudley, LLC in 2012 and BCH Consulting, Inc. and its affiliates, Orange County Bookkeeping and Professional Tax Resolution, in 2016. Troy holds his CPA license with the State of California and is a member of the American Institute of Certified Public Accountants. He lives in Mission Viejo with his wife and three daughters. Brian C. Hill – CPA, Managing Partner Brian began his tax and accounting career as an accounting assistant in a CPA firm while working his way through college. Following his graduation from the University of North Carolina, he worked in Raleigh in the technology industry as a tax manager and controller. After relocating to California in 2004, Brian worked as a tax supervisor at Ramirez International and also as a contract CFO for several privately owned Orange County companies. He opened BCH Consulting 2007 and served as President of the company and its subsidiaries until the firm was acquired by Barnett & Company in January of 2016. Brian is a member of the California Society of CPAs and the American Institute of Certified Public Accountants. He lives in Dana Point with his wife and three children. Diana Jones – Director of Operations Diana has been employed by Barnett & Company Certified Public Accountants since February of 2014. Prior to this, she worked for twelve years as the Office Manager for the Certified Public Accounting Firm of Bolar, Hirsch & Jennings. Through her years of experience in the accounting industry, she has acquired a working knowledge of tax, QuickBooks, budgets and general accounting principles which serve her well in her current capacity. Since the merger of Barnett & Company with BCH Consulting and its subsidiaries in January of 2106, Diana has served as Operations Manager of both companies. Kristyn Hill – Marketing Director Kristyn received her Bachelor of Arts Degree from Emory University in 1998. Upon graduation, she worked in the real estate field in Atlanta, Georgia where her specialties were new home development and high–rise condominiums. In 2005, Kristyn relocated to Orange County, California. She was employed by Prudential California, Ritz Carlton Office for five years, during which time she worked in both sales and marketing. Kristyn is currently a licensed real estate agent for First Team Real Estate and also works in marketing for BCH Consulting. She resides in Dana Point, California with her husband, Brian, and their three children, Sarah, Christopher and Benjamin. Jean Krieger – Enrolled Agent, NTPI Fellow After receiving a Bachelor’s Degree in 1983 from Ohio Wesleyan University, Jean worked in the Tax Department of the Bank of New England Corporation. She was later employed by Pyramid Management Group, LLC and was a founding member of Dunn and Bradstreet’s I-Market, Incorporated. Jean is a member of the National Association of Taxpayers, an associate member of the California Society of CPAs and a member of the California Association of Enrolled Agents, where she currently holds several important offices. Coinciding with her passion for tax advocacy, she is Vice-Chair of the Political Action Committee and a member of the Legislative Affairs Committee. On the Chapter level, she is currently serving as Board Secretary as well as Chair of the Legislative Committee. In addition to her membership in various professional organizations, Jean is a 2014 the recipient of the prestigious National Tax Practice Institute Fellow designation, indicating her tax expertise as well as her commitment to taxpayer rights. Suzanne Linn – CPA, QuickBooks ProAdvisor Suzanne earned a Bachelor of Science Degree in Business Economics with an emphasis in accounting and finance from the University of California, Santa Barbara in 1987. Since that time, she has obtained over 25 years of tax and accounting experience working for several small CPA firms as well as her own home tax and accounting practice. 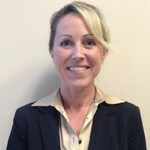 She has been a licensed CPA since 2008 and was licensed CTEC for over 11 years a prior to that. In addition to being experienced at preparing individual, corporate, Limited Liability Company, partnership, tax exempt organization and trust tax returns, Suzanne has successfully represented many clients before the IRS, FTB and SBOE. She is a Certified QuickBooks ProAdvisor and has trained many clients to use the QuickBooks software. Suzanne lives in Brea, California with her three teenage sons. Salina Morales – Enrolled Agent, Tax Manager Salina has been employed by Barnett & Company Certified Public Accountants since 2006. She is a licensed Enrolled Agent and is responsible for overseeing and managing all areas of the firm’s tax services component. Concurrently with her employment, Salina attended California State University at Fullerton where she obtained her Bachelor’s Degree in Business Administration. She is currently working on her Master’s Degree in Taxation from the same institution. Since the merger of Barnett & Company with BCH Consulting and its subsidiaries in January of 2106, Salina has served as Tax Manager of the combined companies. She and her fiancé reside in Irvine. Sabar Purba – Enrolled Agent Sabar received a Bachelor’s Degree in Tax and Accounting from the University of Indonesia and an MBA from National University. His previous work experience, which includes working as a tax accountant for Deloitte & Touche, Indonesia as well as for numerous private companies, has given him a strong foundation in tax, accounting and business management. Sabar is an IRS Enrolled Agent. He resides in Cypress, California with his wife, his daughter and his newborn son. Karri Chew – Accounting Manager Karri attributes her interest in accounting to her love of math which started in her early childhood years. She gained a strong foundation in administrative and bookkeeping functions while working for SBA, a small business and tax return preparation company in Newport Beach. In 2005, she earned a certificate in Generally Accepted Accounting Principles (GAAP) and has been doing accounting and bookkeeping ever since. Karri’s hard work and positive personality make her a great asset to our team. Jessica Aldridge – Staff Accountant Jessica graduated from Arizona State University in 2011 with a Bachelor of Science in Accountancy. Prior to joining the staff of BCH Consulting, she gained a strong foundation in administrative and bookkeeping functions while working for both a tax accountant and a personal injury lawyer. Jessica currently resides in Dana Point with her husband, Wolfe, and their bicycle built for two. Cindy Lee – Staff Accountant Cindy graduated from the University of California Riverside with a major in Business Administration and a concentration in Accounting. She is currently enrolled at Saddleback College and Irvine Valley College to fulfill the course unit requirements to sit for the CPA Exam. Prior to interning at BCH Consulting, she worked for two years in the accounting department of a private company as an intern/ associate. 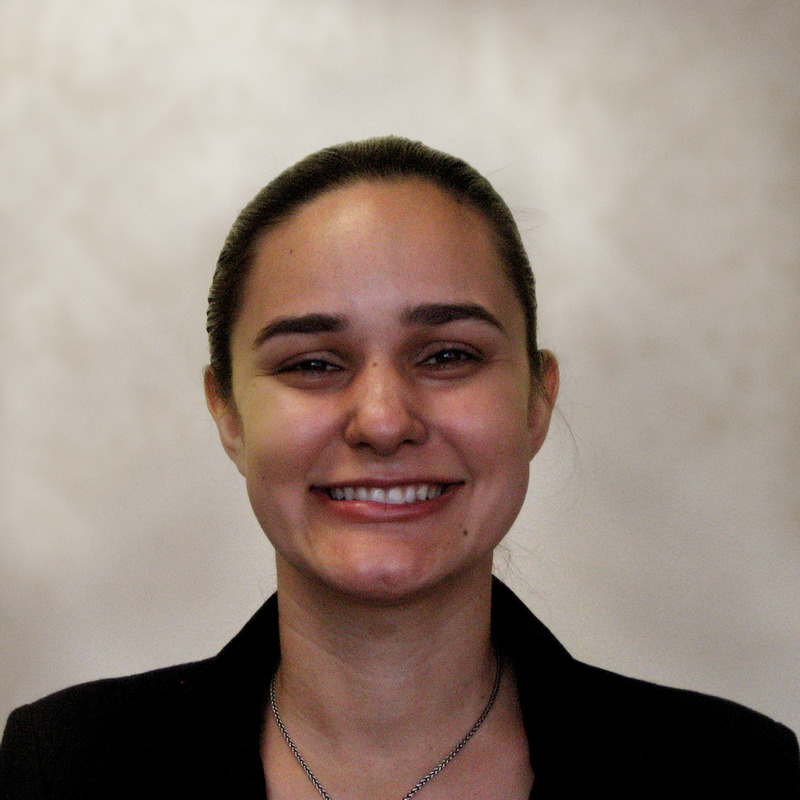 Flora Paque – Staff Accountant After completing her Associate’s Degree in Paralegal Studies at Platt College, Flora obtained extensive legal experience while working as a litigation paralegal. She received her CTEC license in 2011 and, after discovering that she very much enjoyed the field of taxation, decided to make a career change. Flora is currently planning to begin the process of studying to become a licensed Enrolled Agent. In her work with our firm, she is able combine her legal expertise with her knowledge of taxation. Her detail oriented skills and her dedication to helping people make a positive contribution to the team. Tyler Anderson – Staff Bookkeeper Tyler earned a Bachelor of Arts Degree in psychology and philosophy from Central Washington University in 2010 followed by a Bachelor of Science in accounting from Western Governor’s University in 2014. Prior joining the staff of Barnett & Company in early 2016, he worked as a bookkeeper for CB Anderson Architects in Seattle. In this capacity, he performed any and all company bookkeeping functions including booking transactions, reconciling statements, making deposits, managing payroll and printing payroll checks, paying taxes and other bills and preparing customer invoices. Tyler resided in Seattle prior to relocating to Orange County for education and work opportunities. 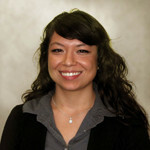 Ana Fernandez – Office Manager Ana is currently a student at Santa Ana College, majoring in business and history. Her previous work experience includes working as a front desk receptionist, a personal assistant, an accounts receivable associate, a sales associate and a tax resolution assistant. Ana’s specialty is interacting with clients and providing exceptional customer service. Her hard working and detail oriented personality make her a great asset to the staff. Francisco Fernandez – Administrative Assistant Francisco is a full time student at Santiago Canyon College, currently working on his Lab Technician Certificate as well as an Associate’s Degree in biotechnology. He eventually hopes to work at a laboratory that uses stem cell techniques to produce synthetic organs using the patient’s own DNA. Although this process is still some years away from being perfected, he plans to contribute his work and studies to finding the solution. In his position as Administrative Assistant, Francisco uses his detail oriented mindset to help with anything from assembling tax returns to managing storage and keeping the office organized. Nancy Rebollar – Administrative Assistant, Receptionist Nancy joined our staff in 2015, bringing with her extensive experience in customer relations and office administration. Prior to beginning her tenure with us, she worked as a sales associate and customer service representative for System Pavers, Inc. In addition to putting her office skills to good use, she continues to upgrade her knowledge of taxes and accounting services. Nancy is currently a student at Santa Ana College where she is pursuing her dream of becoming a forensic biologist.